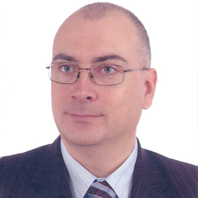 Jarosław Pluta – a notary with many years of experience, appointed to the post by the Minister of Justice in 1997. Partner of the Notarial Office Jarosław Pluta – Notary Julia Fersten – Notary Professional partnership in Piaseczno. Lecturer at trainee courses, inspector at the Warsaw Chamber of Civil Law Notaries, member of the Warsaw Chamber of Civil Law Notaries Council of VIII term of office 2012-2014.